Why should I choose Premium Pet Doors? 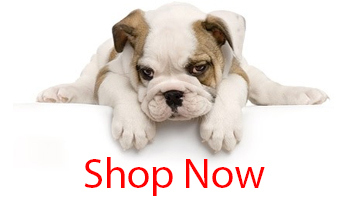 Premium Pet Doors has been Selling and Installing pet doors since 1996. Our experienced customer service department is here to help you choose the right door for your pet(s). Our installer is not only highly skilled at installing pet doors but also has more than 20 years of pet training experience. They can help you in training your pet to use your pet door, too. What is the difference in Premium Pet Doors and pet doors at pet stores, home improvement and big box stores? Premium Pet Doors offers only the highest quality pet doors on the market. They are more energy efficient and better built than the typical pet doors in box stores. Their warranties surpass most others and they are a beautiful addition to your home, providing access for your pets for many years to come. What is the difference between a door mount, a wall mount, an in glass mount and a patio insert? A door mount is a pet door you install on a regular man door. It can be wood or metal. The wall mount is used on any wall on both inside the home between rooms from the inside to outside the home. All of our wall mount pet doors come with a wall tunnel and framing. 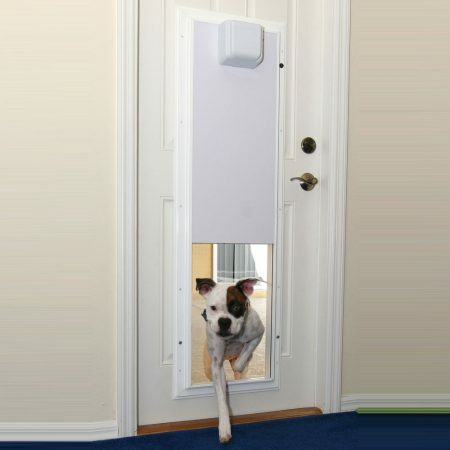 This allows you to install the pet door through walls without having to do your own wall build out or framing. 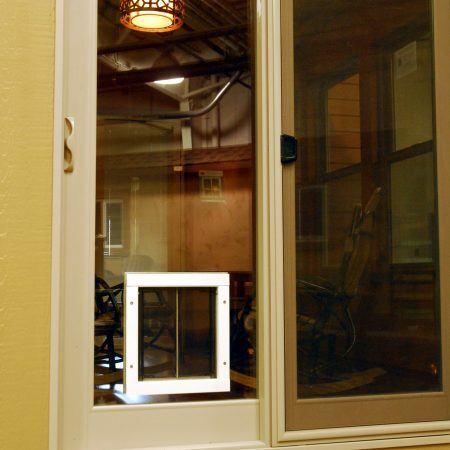 A Patio Insert is a panel with glass and pet door that are put into the opening of a patio slider or window. The sliding part of the door then pulls up to the insert to close the door. What pet door do I buy if I have a large and a small pet? There are a couple factors to consider here. You want a door that is tall enough and wide enough for the largest pet, yet low enough to floor so the small pet can still get over the rise. The flap needs to be easy enough to open for the smallest pet. The Endura pet door is a thinner and taller pet door where the Hale and Plexidor are more typical in width to height dimensions. The Plexidor is a perfect answer for homes with small and large pets as the door opens in the middle. With the Plexidor there is no heavy flap on the pets’ backs when they go out. How do I know what size pet door to buy? Please see “How to Measure Your Pet” section on our website. How energy efficient is your pet doors? The Plexidor has a double pane insulated saloon style flap. The Endura flap is made of a special product that prevents warping, cracking and peeling and has a bubble type air insulator. It is available in a single or double flap version on all its door and wall mounts. The Hale products we sell are a double vinyl flap. This makes all of them among the most energy efficient pet doors available. Can cats use your pet doors and which ones would you recommend? Absolutely. Cats can use any of the pet doors we offer. Generally the small sizes are best but be sure to use the measuring chart and consider the cats weight before ordering. Please call if you are uncertain which size will work best with the model you are wanting. How easy is it to train my pet to a pet door? Training is as easy as holding a hot dog or string cheese. Have one person on each side of the pet door with a leash attached to pet. Pass the leash through the pet door to the person on the other side. That person then calls and lightly tugs on leash while holding pet door open. When the pet comes through give him small piece of treat. Continue this until the pet goes thru without the being tugged. If you find you need additional help, please call us. If I want to install the pet door myself are there instructions? Yes. All of the pet doors come with instructions and with a cut-out template. Are your pet doors made in the USA? Yes. All of the pet doors we sell are manufactured in the USA. How easy and how much time does an installation take? Door mounts are easier to install than wall mounts as you might have imagined. If you have the tools and the skills a door mount can be installed in about 1 hour. A wall mount would take a professional about two and a half hours. It will generally take an inexperienced person 3 or more hours. What is the biggest dog your pet doors can accommodate? 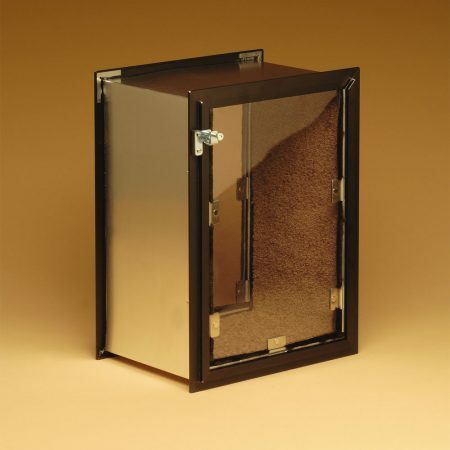 We have pet doors that can accommodate pets up to 220 pounds. What are my options for where a pet door can be installed? Pet doors can be installed through a wood or metal door, through a wall and with the help of glazier can be installed through glass. How do I pick a location to install a pet door? When looking for the best place to install your pet door there are a number of factors to keep in mind. First is to look at not only where the pet will be exiting the home from the inside, but also where he will be exiting on the outside. There must be a proper drop or step out of the pet door to allow a safe exit. Door mounts are easier to install so if you have a wood or metal door going out to the part of the yard where you want your pet to go this may be the best answer. Sometimes putting in 2 doors is the answer, one from house to garage and one from garage to the outside. Wall mounts are a little harder to determine where they can be put as you have to know what is inside the wall. Be sure to look at both the interior and exterior walls for outlets, spigots and signs of plumbing. The best way to be sure there isn’t anything in the wall that will be in the way is to open a small hole and look inside. Keep in mind the width of the cut hole must fit between the studs or you will have to cut one out and build a header. Wall units also need to be a minimum of 10-12” away from a door or patio frame, a corner or a window as these have double or triple supports around them and there won’t be enough room for the tunnel. Glass is the easiest pet door to install as it will require someone with glazier training. This usually means you will not have to worry about installing yourself. It is also the easiest to remove and not leave a trace when you don’t need a pet door anymore. Are your pet doors secure? Yes. All of the pet doors come with a security plate. Some are rigid plastic and some are metal. The Plexidor has a key lock as well as a sliding track that latches the metal security plate in place. Does your company offer installation of the pet doors? We offer installation in Colorado along the I25 corridor from Denver to Pueblo. Including Centennial, Highlands Ranch, Littleton, Aurora, Castle Rock, Parker, Monument, Palmer Lake, Colorado Springs, Manitou Springs, Cascade, Green Mountain Falls, Woodland Park, Divide, Florissant, Pueblo West, Canon City and Pueblo. I have a stucco exterior on my home. Can you still install a wall mount pet door? Absolutely. Call us if you have questions about how to cut your stucco. What are my options if the ground level is above or below the level of where I want to install the pet door? If the ground level is above where you want to install your pet door you will need to pick a new location to install the pet door. If the ground level is below, you can build stairs or a ramp to accommodate the height difference. What if there is a shelf or window on the wall directly above where the pet door will be? You will want to make sure the pet doors security plate either slides in from the side or bolts in from front. We have both options available! Do I have to buy a whole new patio door, window or glass door to have an In-Glass pet door? No, only the glass will be replaced with the pet door in it. How do you cut the glass? The glass in a patio door, French door or a window is tempered and can’t be cut. The glass needs to be made by a special glass manufacturing company. We order the glass ready for the pet door to be inserted into it. Is the glass replacement Double Pane? Yes. 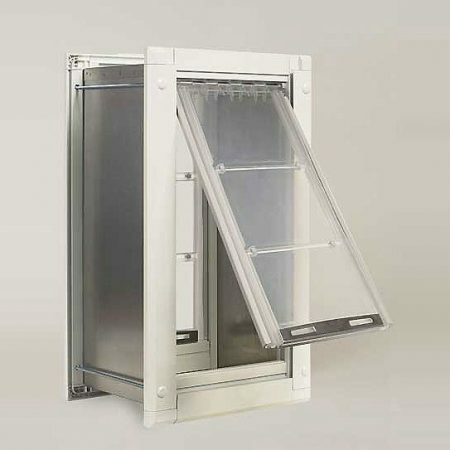 The new glass will be a double pane insulated unit just like the one that you currently have. What if my glass has Low-E? If your glass has Low-E coating we recommend having Low-E coating put on the new piece. This is done at the glass manufacturer for a slight up charge. How long does it take to get the in-glass pet door in? It will take between 2-4 weeks from the time the order is placed depending on the model of pet door you choose. Can you install in the winter? We install all winter long, however for in-glass installations the outside temperature needs to be at least 40 degrees for a few hours after the glass is installed. If I move, can I take the pet door with me? Yes. As long as your current glass pane removes in one piece, you can keep that piece of glass. In the future if you move or don’t need the pet door anymore, it can put back in and the pet door is removed from the glass it is in. You can take the pet door with you and have it installed in a new piece of glass. Do you have to take my sliding glass door to your shop to install? No. We will bring the new piece of glass with the pet door already installed in it to your house and change out the glass on site. Your door will only be without glass for about 45 minutes. Does an in-glass installation affect my security system? No. Security systems are installed on the frame of your door and we aren’t changing the frame. What are the advantages of an in glass pet door over a patio insert? Most of the time a patio door insert will take up enough of the opening of the slider that people can’t use the door easily. It is recommended to only use an insert in a patio slider that is rarely used by people. The In Glass mount pet door allows full access of to the slider opening. These cookies are strictly necessary to provide you with services available through our website and to use some of its features. Because these cookies are strictly necessary to deliver the website, you cannot refuse them without impacting how our site functions. You can block or delete them by changing your browser settings and force blocking all cookies on this website. Use our Privacy Tools to manage your data on this site. You can request a copy of your personal data, or delete it completely from our site.